Unfortunately the Kroll W401 Manually fired waste oil workshop heater is no longer manufactured, spare parts are still available for the unit for the foreseeable future, this unit is now superseded by the Flexiheat Kozy, a waste oil workshop and garage heater that in reality in a multi fuel warm air heater, as it will also burn solid fuels to. All the details of the Kroll W401 heater have been moved to the bottom of this web page, where we still have all the technical data, and also the manuals, spare parts drawings/ list and the wiring diagram available as a downloads. The Flexiheat Kozy Warm Air Heater is in reality not only a waste oil heater but a multi fuel heater, as the warm air heater can be fuelled by solid fuel such as wood and coal should this be your preferred or back up fuel in the event of you running out of waste oil. 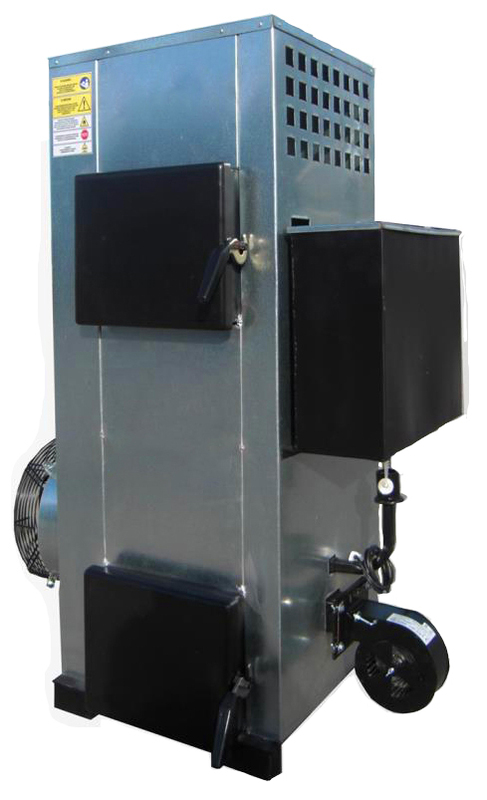 The Kozy heater range has two models within it , the first is a 20kW Output heater , and this is designated as the Kozy 20 , and the second is the Kozy 30 , which is a 30kW Output model. Both of these heaters require and are powered electrically by a 240 volt , 1 Phase supply. As you can see from the above picture the Flexiheat Kozy is a warm air heater that benefits from many years of experience of burning waste oil and continuous quality control which has allowed us to produce a solid and durable product whilst maintaining a competitive price.Both models come with a 12 Month warranty and are CE approved. The bottom one , is the access door to the burner basin, which is used when burning oils ( Be it waste oil, 35/28 Second Heating Oil/Diesel/Kerosene,vegetable oil,bio diesel etc) . You remove this burner basin when using solid fuels such as wood, coal , paper etc as these are burnt on a metal hearth, which comes as standard with the heater.This process ensures that it is very quick and easy to change your fuel type. The top access door gives access to the combustion chamber and flue exit – making cleaning the unit easy. This access door is also used to feed the heater with fuel when using solid fuels. A high capacity axial fan draws air from the area over the heat exchanger and combustion chamber and expels the warm air into the building, providing a constant supply of warm air. In times of rising fuel costs, the payback period for a Flexiheat Kozy multi /waste oil heater is very short. Utilising your waste oil, you get an effective warm air heater with no fuel costs, and no fees to pay for the collection and disposal of your waste oil. The Kozy in our opinion is the best small waste oil workshop or garage heater available in the UK and Ireland. It has been commonly known for years that waste oils, have a calorific value or heating energy, very similar to conventional heating oils. The secret has been to get the oil to burn safely, cleanly, and without any pollution and Flexiheat has been doing this for years with this unit, meaning that you get as much heat as you require, combined with virtually no running costs. These Flexiheat waste oil heaters run cleanly and more importantly efficiently on all engine oils , whether it be hydraulic oil, sump oil, gear oil or transmission fluid. You can literally use it as it comes from your transmission or engine from your machinery or vehicle, without the need for any special filtering. The Flexiheat “Kozy” range of waste oil heaters are particularly suitable for heating automotive workshops and garages, warehouses, small greenhouses, etc.They are equipped with a self contained oil tank of 21 litres ( which is enough fuel for a solid 10 hours of heating ) and are easy to install, being instantly ready for use. Well as the saying goes ” you get nothing for nothing in life “. The only thing you will have to give to any small waste oil heater , that is manual ignition , is a bit of your time. Firstly, this waste oil heater is a basic bit of heating equipment and not “high tech” in any form – by this we mean that you don’t have to be a heating engineer to use or maintain the heater. To start the multi/waste oil heater , you pour a cup of diesel or kerosene into the burner basin, which sits at the bottom of the heater , and then light it with a lit rag or paper, leaving the access door slightly ajar to ensure a supply of combustion air to the heater. After the basin is fully alight , open the fuel supply valve, so that the fuel flowing is literally dripping out, or just slightly above that. Then close the door, and turn on the fan. Waste oil then trickles into the burner basin, where it vaporizes into a gas and then is burnt very cleanly and efficiently resulting in the heater giving off no fumes or smoke via the flue pipe exhaust system. Any contaminants in your waste oil such as dirt,carbon or detergents are broken down in the 750 °C temperature of the combustion chamber , leaving a crusty dry ash which accumulates in the burner basin , which we recommend cleaning every day . taking about 5 minutes of your time.The amount of ash you will get will depend on the quality and cleanliness of your waste oil , but for example transmission oils leave almost no ash generally, very thick waste engine oil from oil diesel engines leave more ash . Generally , oils from petrol engines , or a combination of waste oils , gives you plenty of heat and very minimal ash. What a lot of our customers do , is purchase another burner basin off us , so when they start the unit every morning , they use the clean one , then at a time convenient to themselves, they clean “yesterdays burner basin”, making it ready for use in the heater “tomorrow”.But this decision is yours as they say. I think you agree that these 5 minutes a day , is a small price to pay for the advantage of warm air heating with free fuel ! Do not use the Kozy warm air heater in rooms or areas where there are combustible dusts or fumes.These heaters should also have 500mm clearance at the rear of the axial fan, and should also be 500mm off any walls . It is also advisable to have a 2 metre free area around these warm air heaters , ensuring no flammable or temperature sensitive products or items are located withing this area.Please also ensure that you have adequate combustion air / Ventilation as the heater needs this to work. Warning !! – The Flexiheat Kozy heaters must be operated with their axial fan constantly on during the operation of the heater, and also for 20 to 30 minutes after the fuel being burnt is extinguished otherwise the residual heat can damage the fan. 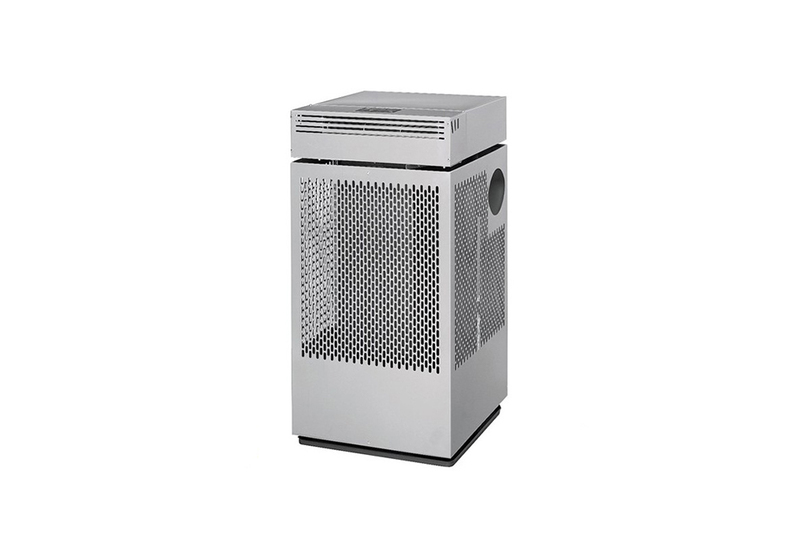 But if your in any doubt, please contact us with your buildings volume, and an insulation description and we will do a heat loss calculation for you, to ensure that you get the right kW waste oil space heater for your requirements. We have just supplied spares to a unit that is 45 years old ! a testament to the quality of this German made unit. Sometimes these heaters are referred to as waste oil workshop heaters,waste oil drip heaters,drip oil waste heater, small waste oil heater,small waste oil heater for a garage, with thousands sold since its conception , we believe we have the best Waste Oil Heater for sale on the market.